Horodok (Khmelnytskyi oblast) [Городок]. Map: IV-7. 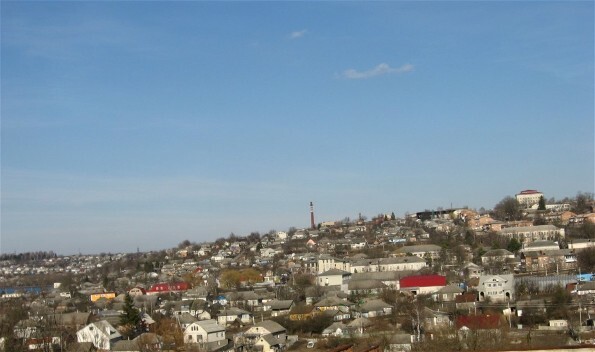 Town (2001 pop 17,746) and raion center in Khmelnytskyi oblast, situated on the Smotrych River in eastern Podilia. It was first mentioned in historical documents under the year 1392. In 1793, after the second partition of Poland, the town came under Russian rule. In April 1919 the Volhynian Group units of the Army of the Ukrainian National Republic fought several battles there against Bolshevik forces. It was a raion center in Proskuriv okruha (1923–30), Vinnytsia oblast (1932–7), and Kamianets-Podilskyi oblast (1937–54). Machine tools and foodstuffs are produced there.